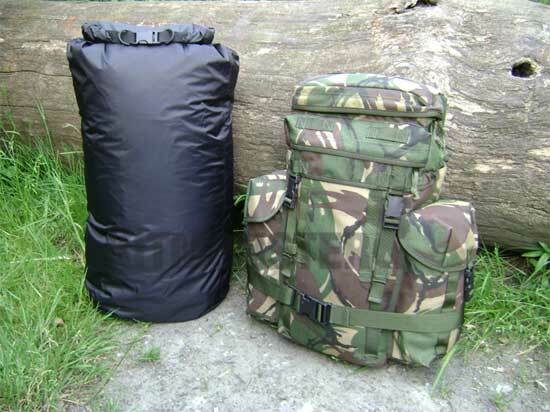 50 litre capacity, fold and roll closure with quick release buckle and hanging/grab loop on base. Material resists 10,000mm water column. Suitable as a patrol pack liner. PLCE NI Patrol Pack for scale only, not included. Please see separate listing to buy.